Deepika made the revelation in an interview with GQ magazine. 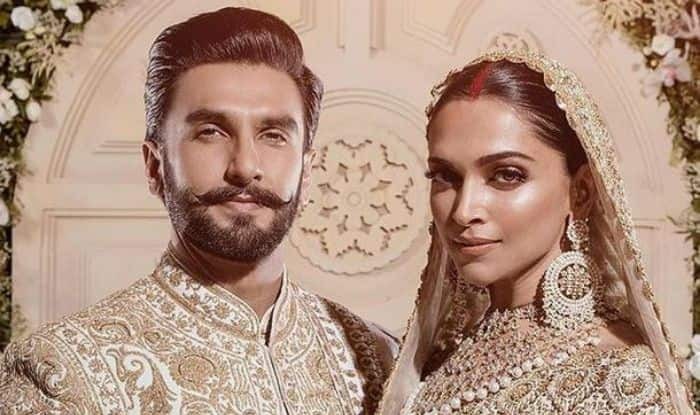 Actor Ranveer Singh is a people’s person with “irrepressible energy”, but there’s a quiet side to his persona as well, says his actress wife Deepika Padukone after their “magical” wedding celebrations. In her first interview post their wedding, Deepika spoke to GQ magazine about the month gone by, Ranveer, her wedding looks and what the future holds for her. “He is vulnerable, extremely emotional, very intelligent; childlike at times. That’s not to say that his irrepressible energy isn’t him, it’s very him. He’s a real people’s person, but there’s a quiet side to him too,” Deepika said, according to excerpts shared with IANS. While the actress sported a Sabyasachi Mukherjee creation for her north Indian style wedding, for GQ’s December cover, she has gone all bold. “I’m aware of culture, tradition, all that… I also understand what it means to be my own person. Of course, it’s exciting to take your relationship to the next level, but at no point as a woman should you forget your sense of individuality. It’s important to remain authentic and stay true to who you are. The idea is not to lose yourself in the process (of marriage),” said the actress, who has had a whirlwind 2018. “It’s going to be pretty challenging because I’ll be producing and acting in Meghna Gulzar’s next ­film (about acid victims). For the ­first time, I’ll also be taking decisions with my director — we would’ve started work before I took off for the wedding, and will get back to it now. Also, setting up home,” she said.